Work is progressing on my daughter's room, and we're getting close to done. Just waiting on the rug and comforter we ordered to come in. We're mostly through painting - just a few touch ups here and there. 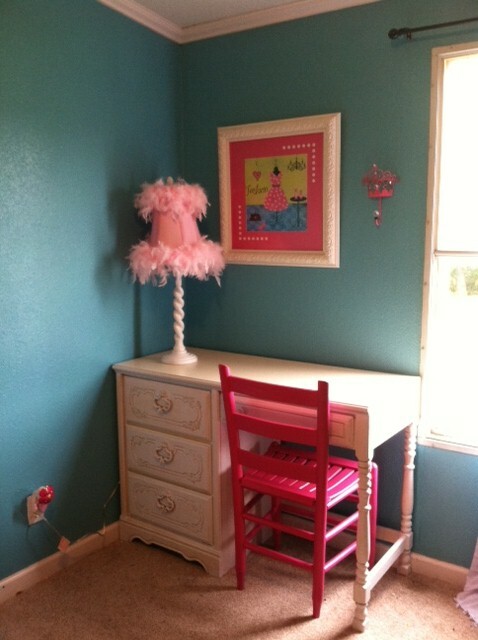 She chose the color scheme - turquoise with hot pink and touches of light pink.